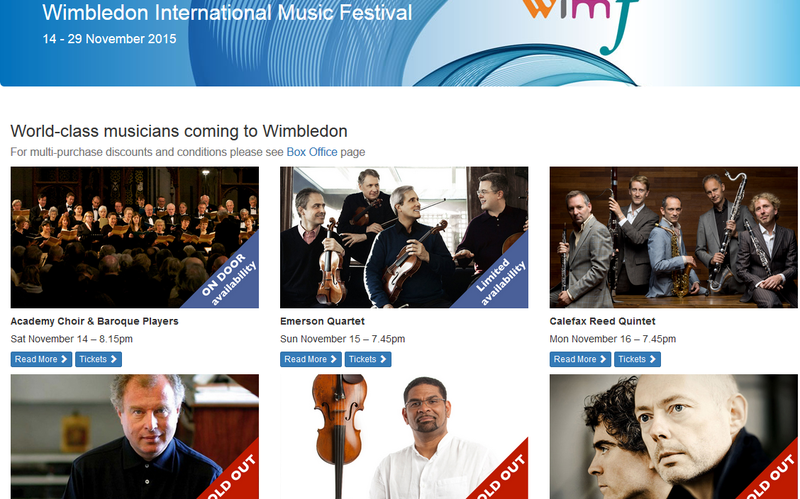 The Wimbledon International Music Festival opens tonight (14 November 2015) and runs until 29 November filling Wimbledon with exciting musical events. Tonight's opening concert is Monteverdi's Vespers of 1610 with Andrew Edwards conducting The Academy Choir, The Academy Baroque Players and His Majesty’s Sagbutts & Cornetts. Further ahead a fine clutch of performers includes the Emerson Quartet, Andras Schiff, Mark Padmore and Paul Lewis in Schubert, Mahan Esfahani, Piers Lane and the Brodsky String Quartet, and the Phiharmonia Orchestra. Pianist Mikhail Rudy's Chagall, The Sound of Colours will include projections on a large screen with art and music in dialogue. This years festival co-commission is another dance-inspired piece, a dance suite by Australian composer Elena Kats-Chernin inspired by Picasso’s painting of the three Dancers in Tate Modern, which is also being used in a new dance piece by Dutch choreographer Didy Veldman performed by Rambert Dance at Sadlers Wells on 3-7 November. The final concert is Robin O'Neill conducting the Philharmonia Orchestra, with cellist Zuill Bailey in Schubert's Symphony No. 5, two Haydn cello concertos and Mozart's Symphony No 40. Full information from the festival website, but be warned some concerts are already sold out and other only have availability on the door!